After just a five night stay this past summer, we’re convinced that it doesn’t get much better than Costa Rica for exploring the great outdoors! The Guanacaste area of Costa Rica in particular truly gives you the best of both worlds. Here you can spend your mornings exploring the rainforest and your afternoons soaking up the sun on one of the many golden beaches! Whether you’re into hiking, surfing, or simply taking in the tropical scenery, you’ll find it all and more in this exotic country. Check out our list below of the top five things that make Costa Rica an absolute paradise for outdoor enthusiasts. Nestled between the Tilaran and Guanacaste mountain ranges, touring the Arenal Volcano National Park was probably the most memorable experience of our trip. Arenal Volcano itself is surrounded by lush rainforest, which means you’ll have to do some hiking to get a good glimpse. We felt that the hiking difficulty was intermediate, but it could be intimidating to beginner hikers. Often times, the very top of the volcano is hidden by clouds, but fortunately we were able to get an unobstructed view of the entire peak. For our tour, we went with Central American Tours and we would highly recommend them! Our tour guides were extremely informative, fun, and always completely in-tune with the surroundings. Another perk of Costa Rica? It is the perfect destination for exploring with a car! Since the Guanacaste area is surrounded by small villages, it is really easy to arrange mini-trips during your stay to get the full experience. On our way to Arenal Volcano National Park, we pit-stopped in several villages that were along the route. Each village has its own unique personality, and all of them we visited felt very safe and clean. This is your chance to try some authentic specialities at the local cafes and restaurants! For the true adventurist, a road trip to the capital city of San Jose is around a 3.5 hour drive from the Guanacste area. The atmosphere in this city is unlike any other in the country, with an endless selection of nightlife, restaurants, cafes, markets, and museums. If you’re an avid surfer or have always wanted to learn the sport, Costa Rica is the place to do it! With both options for beginner’s surf school and waves for the experts, be sure to check out Playa Grande, Malpais, and Playa Naranjo (otherwise known as Witches Rock). 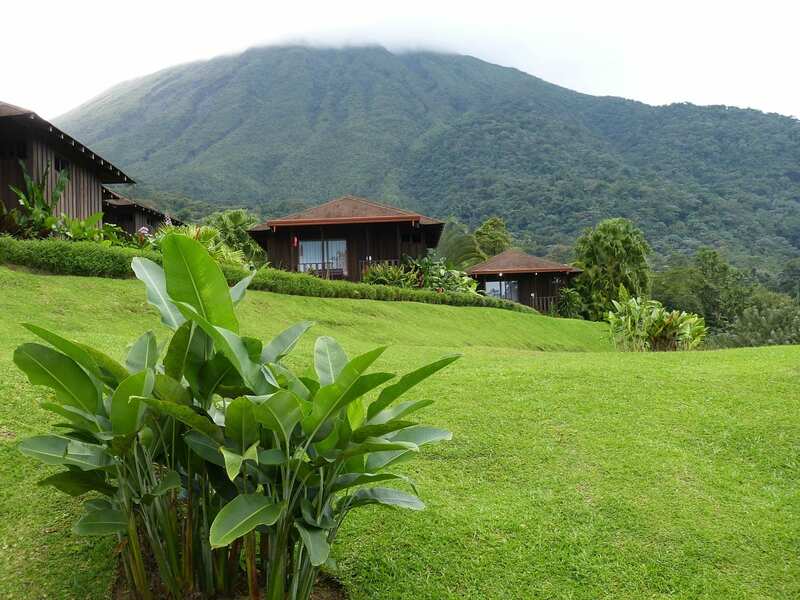 Costa Rica holds a wide variety of accommodations, from all-inclusive resorts, to standard hotels, and even bed and breakfasts. If you’re hoping to get in a good amount of beach time during your trip, an all-inclusive beachfront resort will definitely be the way to go! For independent travelers who aren’t set on staying by the beach, a European-plan hotel in the mountains might be right up your alley. We stayed at the RIU Palace Costa Rica and toured several other resorts in the area, including The Westin Golf Resort & Spa, RIU Guanacaste, Occidental Grand Papagayo, and Andaz Peninsula Papagayo Resort. Costa Rica will give you plenty of chances to catch glimpses of all sorts of wildlife. Don’t miss the Mounteverde Cloud Forest Biological Reserve, which houses more than 500 species of birds (including the vibrant Quetzal). In this reserve, you’ll also find over 3000 species of plants, many of which are orchid varieties. If you’re really lucky, you may even spot a white-faced monkey! Call 402-281-3022 today to speak with an Enchanted Honeymoons travel agent about our all-inclusive packages in Costa Rica!